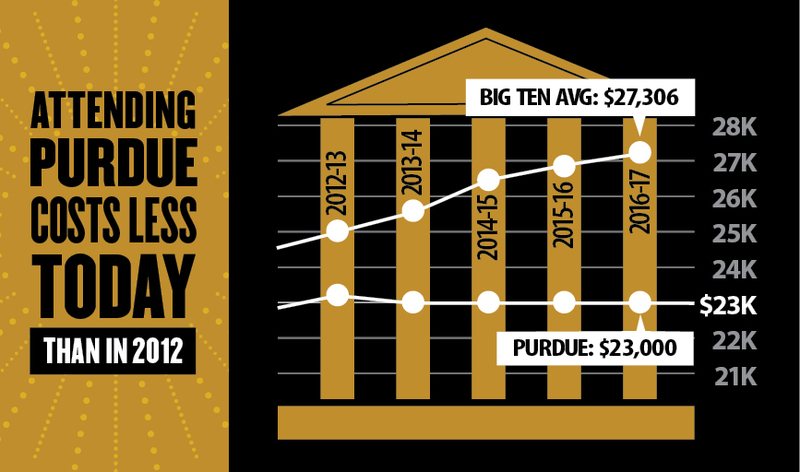 Purdue has set a national standard for prioritizing student affordability and accessibility. Scroll down to learn more about the University's achievements in this area. With the move by Purdue University President Mitch Daniels to call for a hold on tuition for a seventh year in a row and through the 2019-20 academic year, students at the West Lafayette campus will be paying nearly the same in tuition and fees as they were in 2012-13. That also means five graduating classes will have earned their Purdue degrees without ever having a tuition increase. The bottom line: During the fiscal years 2013-19, Purdue families have saved $465 million through the University’s deferral of tuition, fee, and room and board increases. 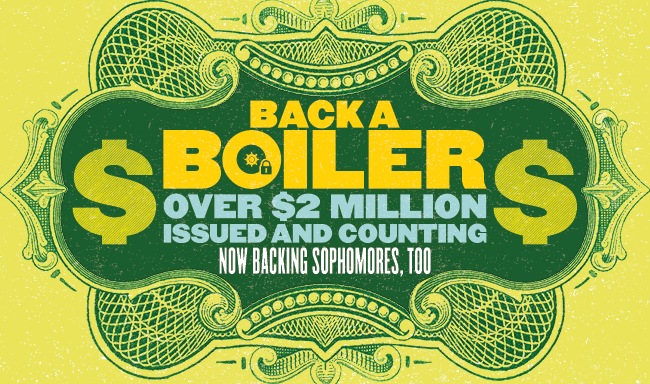 Purdue’s unique program, Back a Boiler – ISA Fund, has just expanded. Beginning immediately, all students who will be sophomores, juniors or seniors in the coming academic year qualify to apply for funds. The program offers students an alternative to traditional private or Parent PLUS loans by providing money that they pay back based on what they earn after graduation. The bottom line: funding for school that doesn’t accrue interest. For more information visit BackaBoilerinfo@prf.org or call the Purdue Division of Financial Aid at 765-494-5050. To apply, create an account at https://purdue.vemo.com/. Applications are accepted year-round.